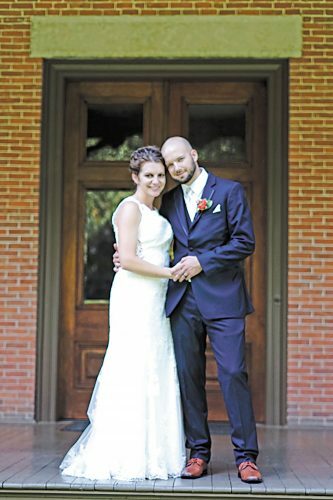 Kayla Marie McClintock and Sean Lee Justice exchanged wedding vows June 18, 2016, at historic Everal Barn in Westerville. The officiant was Zoe Hafner, a family friend. The bride is the daughter of Pat and Theresa McClintock of Delaware. The groom is the son of Ted and Wilma Justice of Westerville. The bride wore an ivory, cap-sleeved gown with lace overlay and applique bodice and carried a bouquet of white and green hydrangeas accented with baby’s breath. 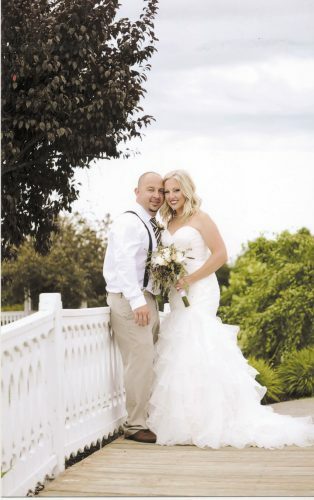 Matron of honor was Steph Weaver, friend of the bride. Bridesmaids were Melissa McClintock, sister of the bride; Jessica McClintock, sister-in-law of the bride; Alycia Lenke and Sammy Greene, friends of the bride; and Jessica Justice, sister of the groom. Flower girl was Sadie Leis, cousin of the groom. Best man was Kelvin McMorris, friend of the groom. Groomsmen were Aaron and Adam McClintock, brothers of the bride, and Corey Walls, friend of the groom. Groomswoman was Lauren Poff, friend of the groom. Ring bearer was Owen Leis, cousin of the groom. 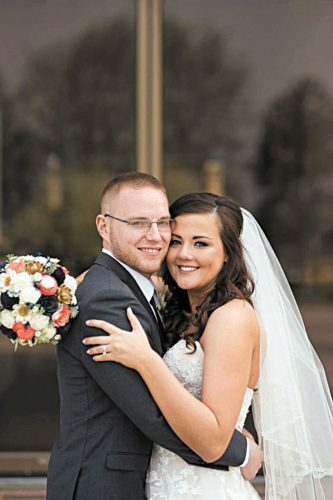 The bride, a 2011 graduate of Columbian High School, graduated in 2015 from Tiffin University. She is an employment specialist at Life Builders in Westerville. 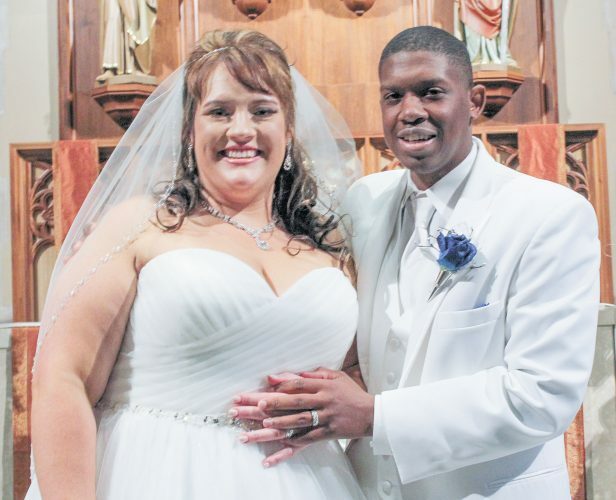 The groom, a 2010 graduate of Westerville Central, graduated in 2015 from Tiffin University. He is a parole officer for the state of Tennessee. 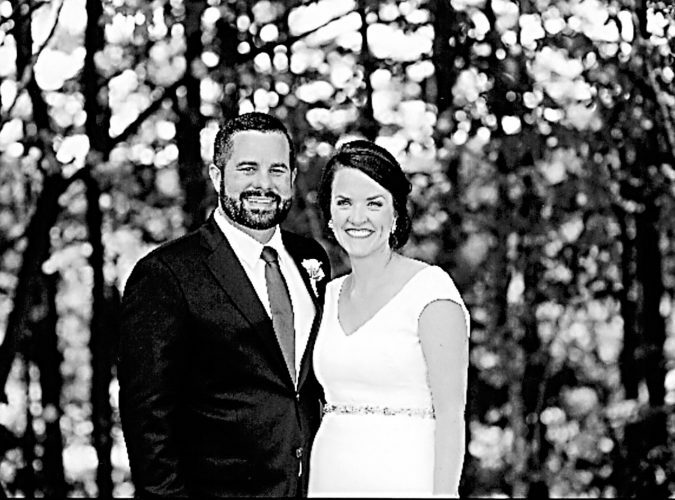 The couple honeymooned in Gatlinburg, Tennessee, and will live near Nashville, Tennessee.